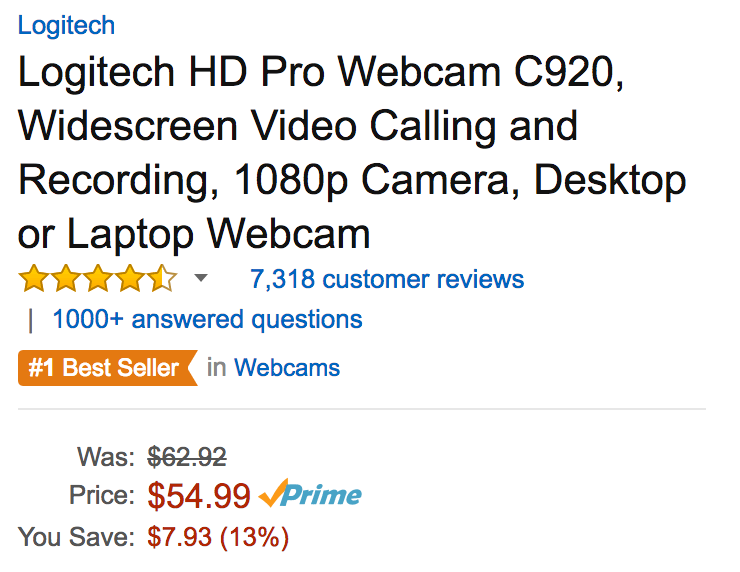 Amazon offers the Logitech C920 HD Pro 1080p Webcam for $54.99 shipped. That’s a $40 savings off the original MSRP, down $20 from Best Buy and the second lowest price we’ve seen at Amazon this year. This is the #1 best-selling webcam at Amazon with over 7,300 reviewers leaving a 4.5/5 star rating.